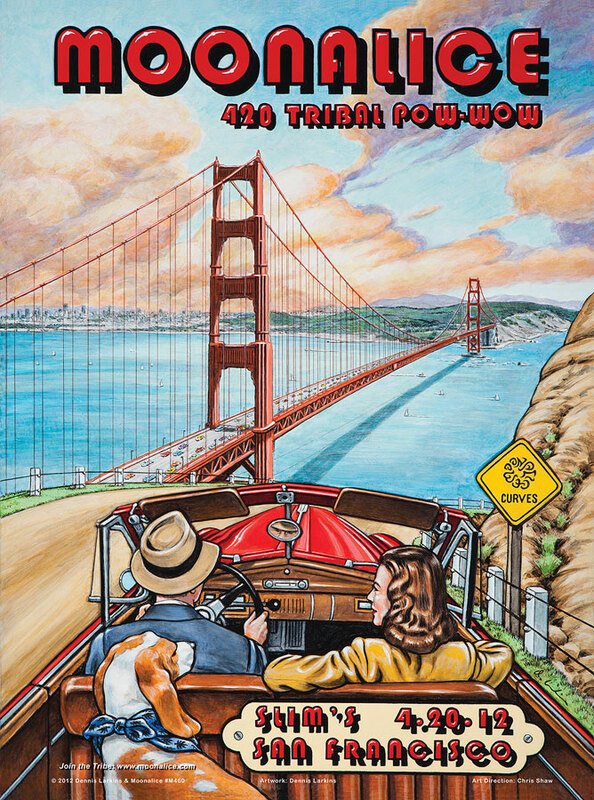 As part of the annual 420 Tribal Pow-Wow celebration, Moonalice will be hosting The 3rd Art of Moonalice poster show at Slim’s in San Francisco, California this Friday. On display will be as many posters as space permits in The Moonalice Poster Series, now totaling over 460 posters! Moonalice is a band that commissions a poster for every gig and gives them away for free. 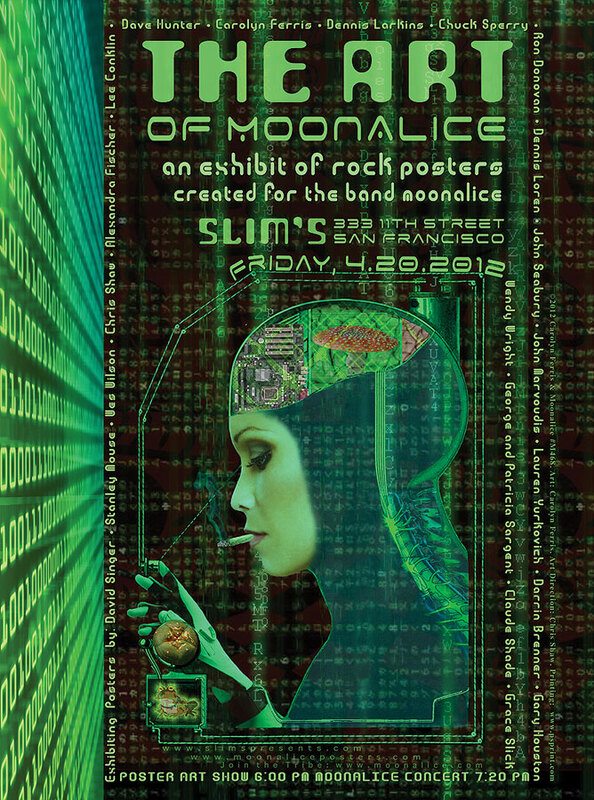 Since the band’s formation in 2007, Moonalice has produced a unique series of over 460 original gig posters with artwork from over 20 artists. Moonalice posters feature artwork from many of the legendary poster artists of the psychedelic ’60s as well as today’s top rock poster artists. Moonalice is a band that lets poster artists do what they do best – make art! Unencumbered by standard constraints, Moonalice posters are as diverse as the artists who create them. Moonalice is a band of seasoned musicians who feel that live music should be a communal experience where the listener and musicians feed and derive inspiration from each other. Their songs try to speak to everyone, mixing a variety of genres with extended musical improvisations that evoke a sense of adventure and exploration. Moonalice is a band that commissions a poster for every gig and gives them away for free. Since the band’s formation in 2007, Moonalice has produced a unique series of over 450 original gig posters with artwork from over 20 artists. Moonalice posters feature artwork from many of the legendary poster artists of the psychedelic 60’s as well as today’s top rock poster artists. Moonalice is a band that lets poster artists do what they do best – make art! Unencumbered by standard constraints, Moonalice posters are as diverse as the artists who create them. 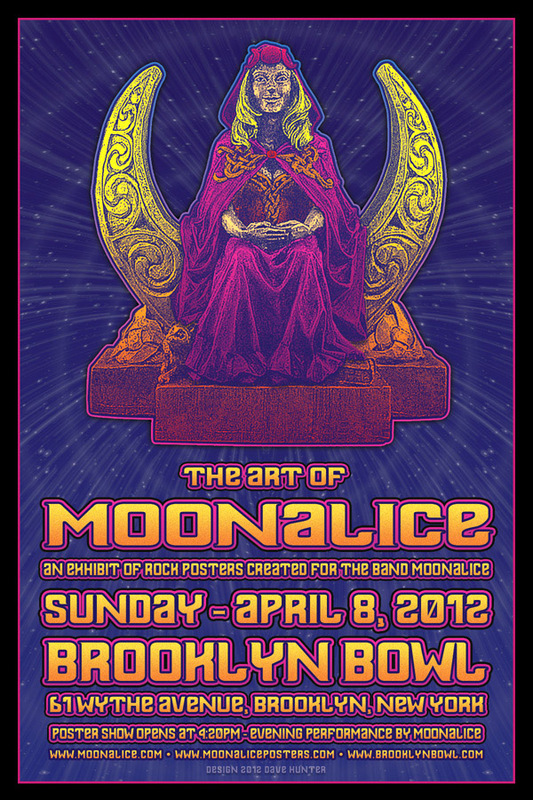 On Sunday, April 8, 2012, Moonalice proudly presents a concert and poster show at the Brooklyn Bowl. The full series of Moonalice posters will be on display and available for purchase at this first ever East Coast event. 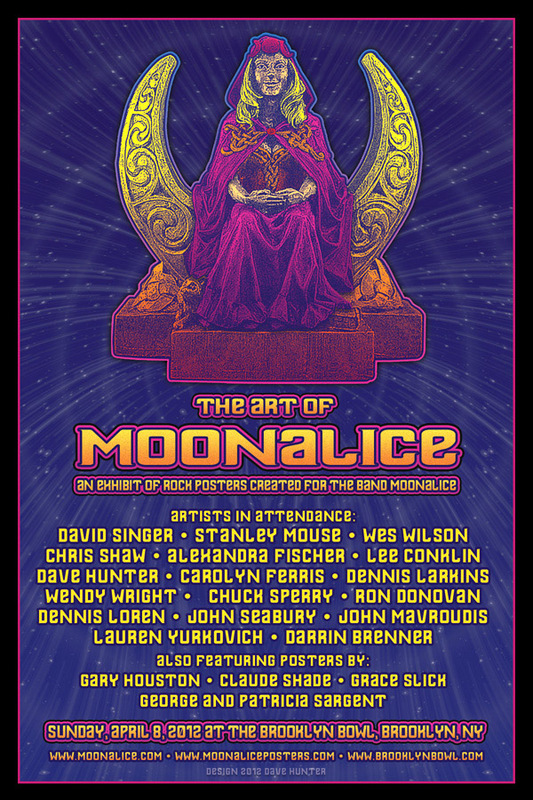 Many Moonalice poster artists will be attending the event in-person. 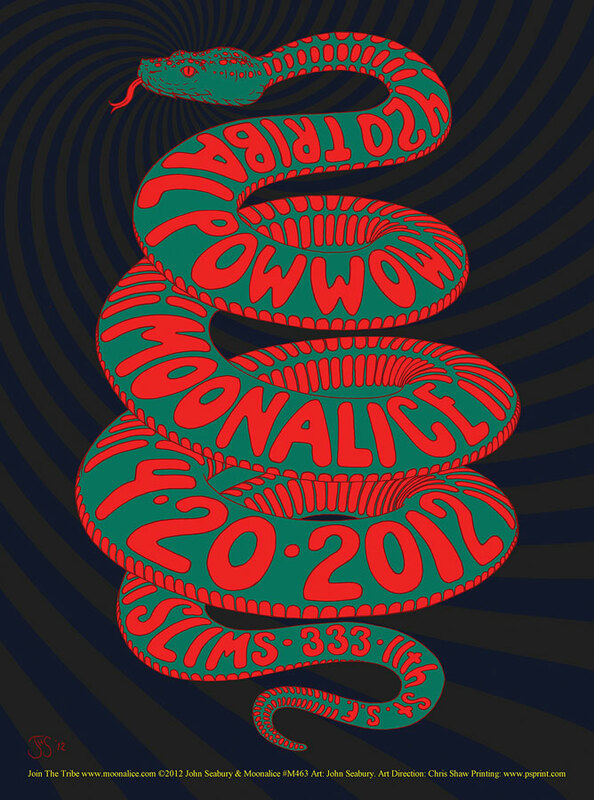 The poster show opens at 4:20 pm, Moonalice’s concert will follow the poster show in the evening. The Poster show ends up at 19 Broadway on Saturday for a performance by Moonalice.